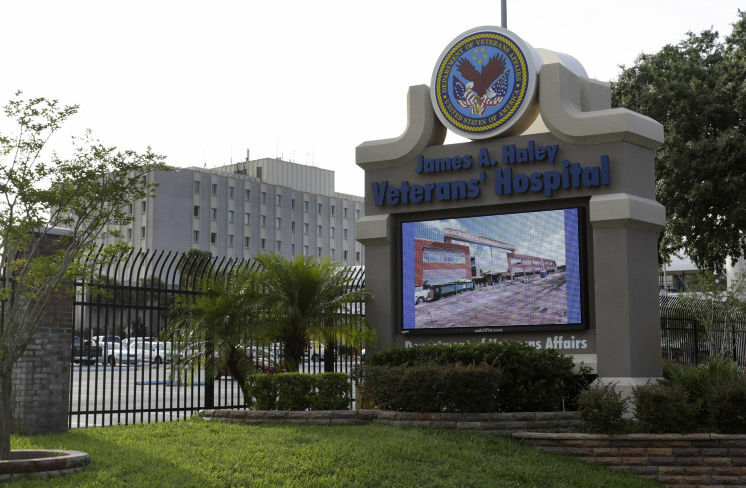 TAMPA — A Marine combat veteran from Melbourne and his wife are suing the James A. Haley Veterans’ Hospital for negligence, claiming that a five-year delay in diagnosing potential kidney cancer will cut short his life. The lawsuit filed Thursday in U.S. District Court says hospital officials found a cancerous lesion on the right kidney of Edgard Colon but didn’t tell him about it. The lawsuit seeks $20 million for Colon, 44, a former corporal who served in Afghanistan and Iraq, and $10 million for his wife Judith Colon, 35. Haley officials declined to comment on the lawsuit. A medical report in September 2011 shows that a staff radiologist noted the lesion “does not represent a simple cyst” and should be evaluated to determine whether it might be cancerous, the suit says. Despite that report, no further tests were ordered, the suit says, nor did Colon receive any further medical treatment for his kidney lesion. It wasn’t until Colon was involved in an automobile accident in August 2016 that another scan was taken and the lesion was found to have tripled in size to a cancerous tumor. A few weeks later, two top hospital officials — chief of staff Edward Cutolo Jr. and risk manager Peter Campia, met with Colon and told him the hospital “missed an opportunity” to refer him to a urologist for further treatment. In December, Colon underwent surgery to remove the tumor and part of his kidney was removed. As a result of the delay, the suit says, the surgery and complications were more severe and Colon’s life expectancy was reduced. The couple also claim the loss of income as a result of the delay in treatment. In response, the lawsuit was filed by Khawam and Washington D.C. attorney Stephen Stallings.